Not all public art needs to be physically big to have a big impact. 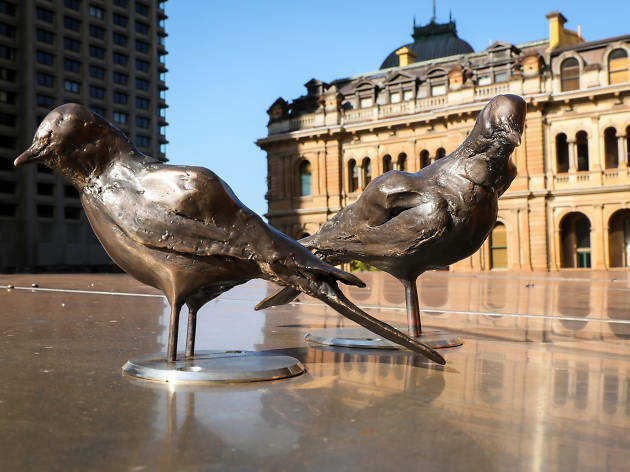 British superstar artist Tracey Emin's 'The Distance of your Heart' is made up of 67 tiny bronze birds, strategically perched on poles, above doorways and under benches along Bridge and Grosvenor Streets in the city centre. The birds only measure a few inches each – they're not based on any specific species, but they're about the size of a sparrow – and mightn't be immediately obvious. When Emin launched the artwork in March 2018, she said it should offer any visitor the chance to have their own moment of intimacy. 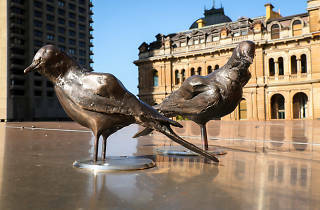 She wants people to take photos of the birds – creatures of migration – and send them to loved ones, wherever they might be around the world.